A behind-the-scenes look at filming Alexandre Renoir. 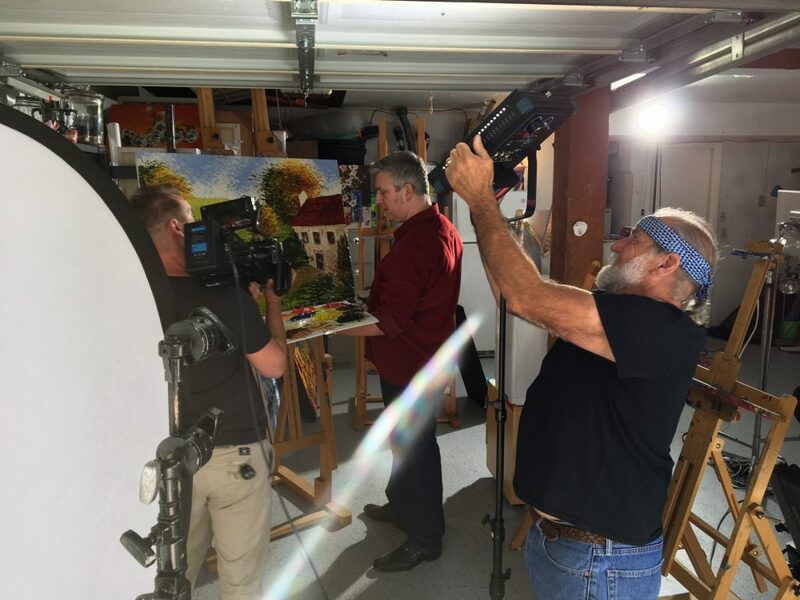 There is nothing quite like watching a master artist at work and, as it turns out, our collectors—and the filmmaking industry—agree. In 2017, Park West Gallery launched a new series of artist profile videos, giving art lovers an exclusive glimpse into the lives and careers of some of their favorite artists. 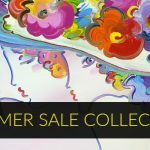 These include fan favorites like Peter Max, Michael Godard, Lebo, Autumn de Forest, Chris DeRubeis, Guy Harvey, and more. One year later, those videos have been viewed on YouTube more than half a million times, and they’ve been viewed on Facebook nearly 3 million times. 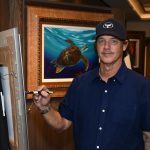 Along with living on Park West’s social media channels, the videos have become an extremely popular addition to Park West’s art galleries on cruise ships around the world. Thanks to these artist videos, Park West Gallery was named the 2018 Bronze Winner for the Telly Awards’ Social Video category for arts and entertainment. Founded in 1979, the Telly Awards honor excellence in video and television. More than 12,000 entries from the United States and five continents are submitted to the Telly Awards on an annual basis. The Communicator Awards are presented by the Academy of Interactive & Visual Arts. It receives more than 6,000 entries a year from companies and brands of all sizes, making it one of the biggest awards of its kind. “These awards show that people are recognizing the time and artistry we’re putting into every single video, which is something we feel like our artists deserve,” said Lichtenberg. Park West will continue to debut new videos throughout 2018. To view the artist profile series and other videos, visit our YouTube channel or the video section of our Facebook page. Subscribe to our Facebook page to be the first to view our newest videos when they debut.